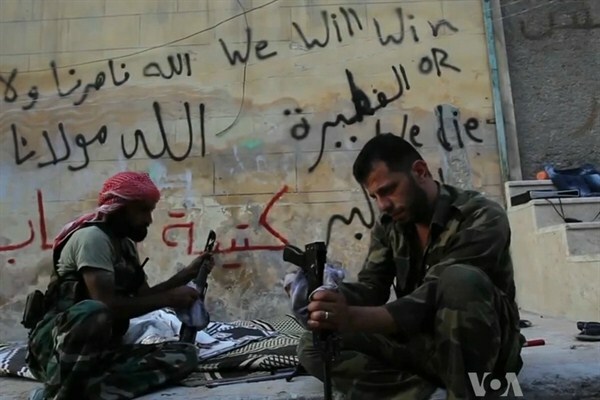 FSA rebels cleaning their AK47s, Aleppo, Syria, Oct. 19, 2012 (photo via Wikimedia, licensed under the Creative Commons Attribution-Share Alike 3.0 Unported license). Almost all European Union member states have seen some of their young citizens, often Muslims between the ages of 18-29, leave their countries to join the jihad against the Assad regime in Syria. The issue of foreign fighters is not new: The conflicts in Bosnia, Chechnya and Afghanistan had already seen young European Muslims join the fight. However, the threat appears more public and pronounced with Syria, partly because many foreign fighters document their journey on social media outlets.